Watch this archived video from a performance at the University of Southern California. Manoochehr Sadeghi plays on santur & Siamak Pouyan on tombak. Enjoy this archived video from a performance at UCLA. Learn about virtuoso santur player Manoochehr Sadeghi in this short introduction video. 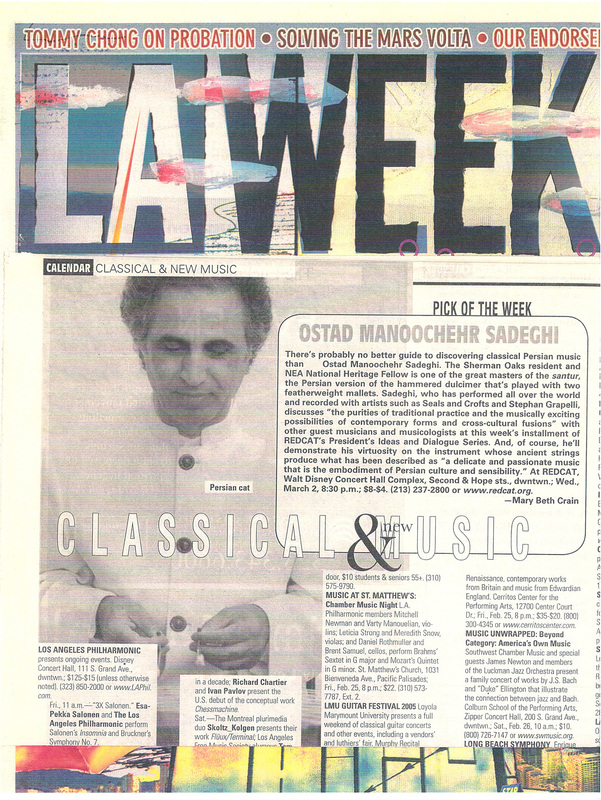 Manoochehr Sadeghi was featured by Los Angeles’ most prestigious weekly lifestyle newspaper, the LA Weekly, in 2003. Enjoy this 8 minute performance from a show at UCLA in Westwood in May 1989.